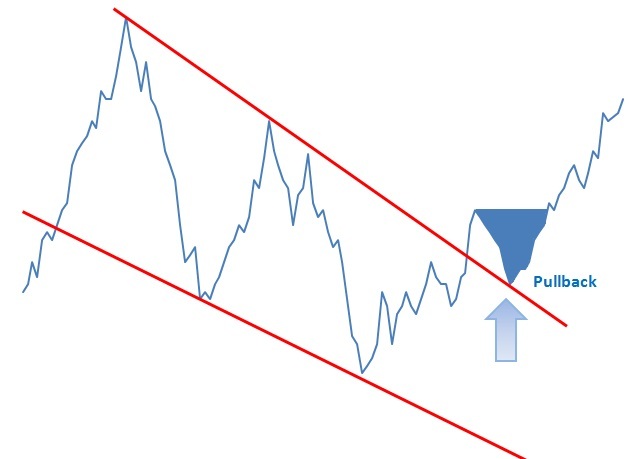 A pullback is a technical analysis term used frequently when a stock “pulls” back to a resistance and/or support line, usually after a breakout has occurred. Pullbacks can be in an uptrend or downtrend and can pull back upwards or downwards. In the example below we can see a pullback as it retraces back to the original trend. Pullbacks frequently become a new support or resistance line for the new trend as well. People have even created successful trading strategies centered around trading on pullbacks. We can also see that depending on what you are using as a support or resistance line we can have a better look at pullbacks. In this case, we used a simple moving average. From here we can see a very important aspect of pullbacks if we look at the first bubble. If we did not know any better it would simply look like it was pullback when in fact the price continued to climb and ended up breaking out. 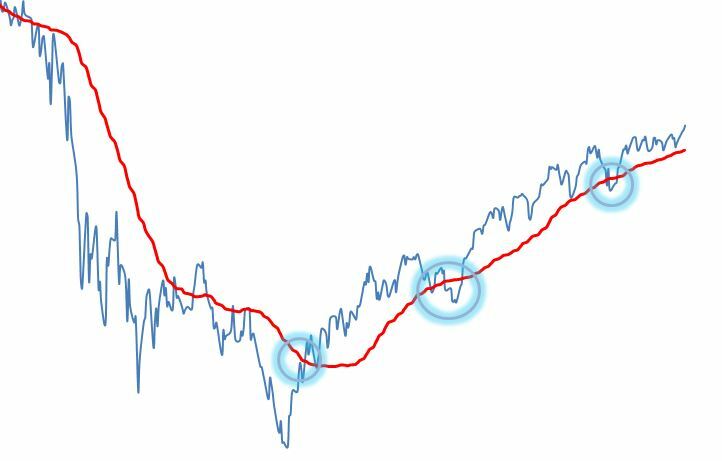 The other two bubbles are traditional downwards pullbacks. ← Apple and Oil Fall, Investors Hoping For A Rebound!